WHIRL - SOCIALLY DRIVEN “PAY IT FORWARD” CROWDFUNDING, BUILT ON THE BLOCKCHAIN. We are currently in an era of disruptive crowdfunding, this is made possible by blockchain technology that is an emerging technology that connects investors and entrepreneurs through a decentralized environment that uses smart contracts and ranking systems that allows individuals reputation to be available on the blockchain. Blockchain crowdfunding is disrupting traditional forms of payment services and the banking industry, Intermediary financial services providers are scrambling to tap this market, but the distrust by the blockchain community has made blockchain start-ups with a true decentralize nature emerge as the winners. In this blog entry, I will take a look at Whirl a new crowdfunding platform with a competitive advantage compared to other crowdfunding platforms, and it has differentiated itself from its competitors using its unique business model. 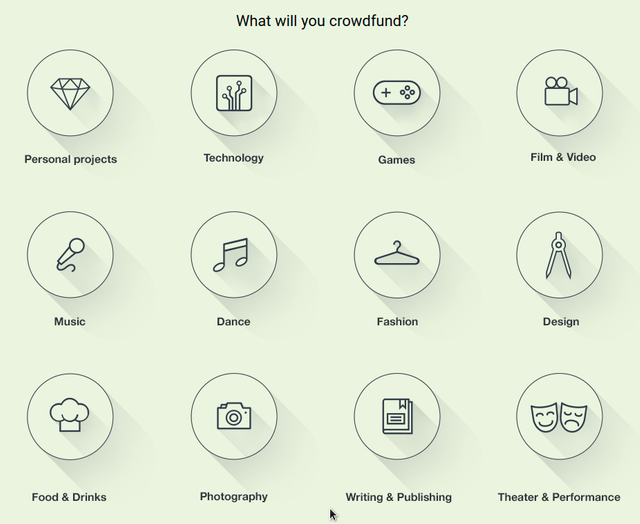 WHIRL - Crowdfunding Operational Model. 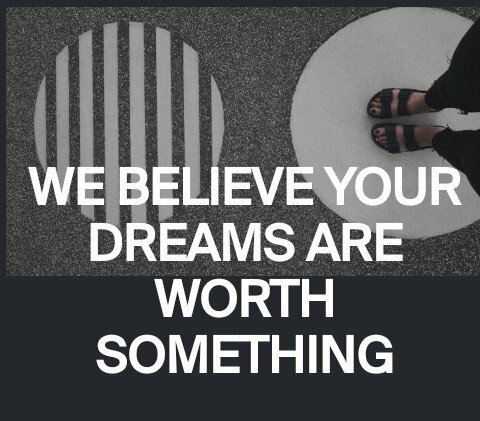 WHIRL has differentiated itself from its competitors through allowing individuals to crowd-fund various categories of activities such as personal projects, technology, games, film and Videos, Music, Dance, Fashion, Design, Food and Drinks, Photography, writing and Publishing, and Theater and Performance. 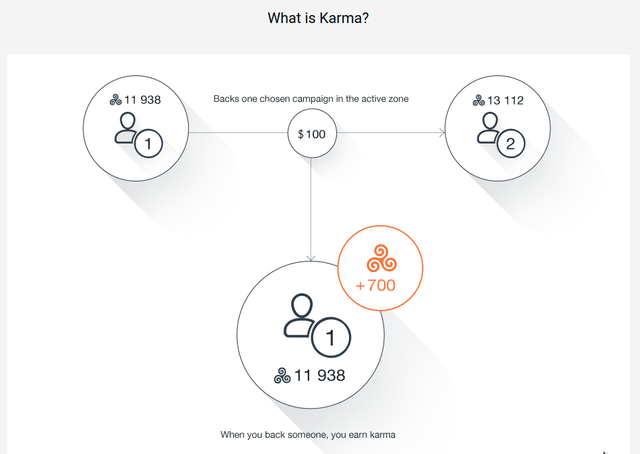 the platform has been in development for the last two years, and it uses blockchain technology to allow various features of its platform to be optimized and operational, these features include the use of Karma which is the heart of the Whirl and ranks individuals based on financial support they have offered on the platform. I was able to check Whirl main competitive advantage, and I have noticed on its business model the users who have already achieved their goals through crowdfunding become appreciative of the platform efforts and support other projects when they can. 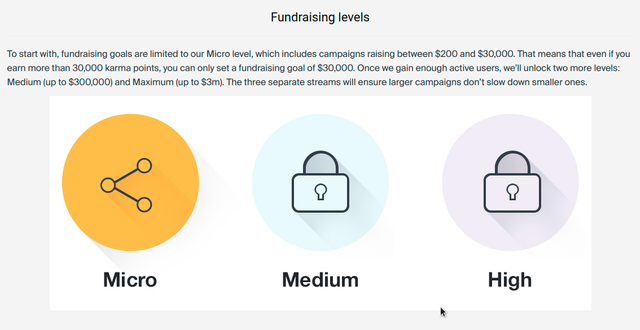 The fund-raising efforts are categories in structures and levels starts from macro, medium and finally High which can be assessed based on your Karma Points and contribution on the platform. WHIRL - Crowdfunding with a difference. Whirl helps disruptive projects find cash and t the same time they can help others when they have achieved their goals, small businesses and plans have been the economic pillar of our economies despite neglect by financial institutions, WHIRL Business model allows this projects to raise funds without a burden left behind of loans. Centralized systems have distributed capital based on even distributions, the networks have been commercialized, and crowdfunding projects left with a significant burden of loans repayment, as a social-driven platform this will help tap non profit organizations, the platform has a special place for non profit organizations who will be able to receive unique campaign placement spots. Whirl will be to unite the world with mutual self-support using blockchain technology that allows Whirl platform to automate its transactions, record transactions in distributed ledgers that will enable transparency and accountability. Whirl will change crowdfunding as we know it and individuals who sign-up on the platform will find it useful and they will be able to back-up projects and in return get help in their plans without having a trail of debts left behind. WHIRL is a game-changing crowd-funding platform, the business model of the platform allows it to democratize the venture capital through a simple process that helps pay it forwards crowd-funding system that directly will enable supporters to directly contribute to innovative projects, businesses, and social projects. The decentralized nature of the project allows all people to join a campaign and be able to participate without jurisdiction restrictions.